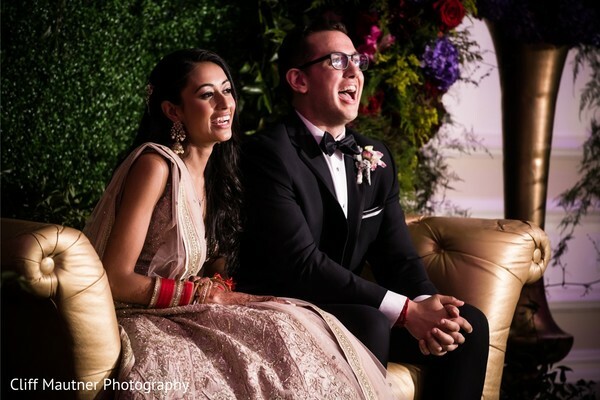 All posts with Style "Contemporary"
What a blissful wedding day Poonam and Mike had! 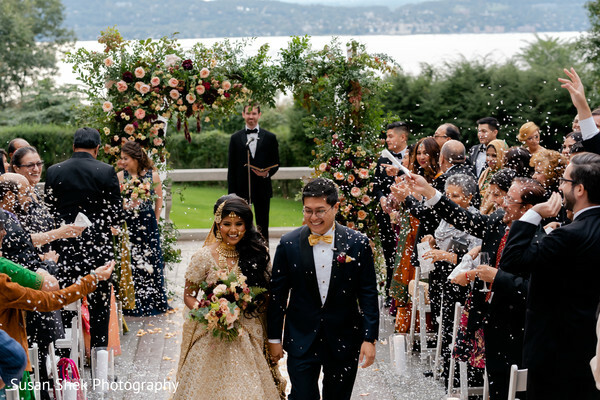 Their spectacular fusion wedding was about to change the bright colors for elegant white, ivory and neutral hues during the western ceremony! 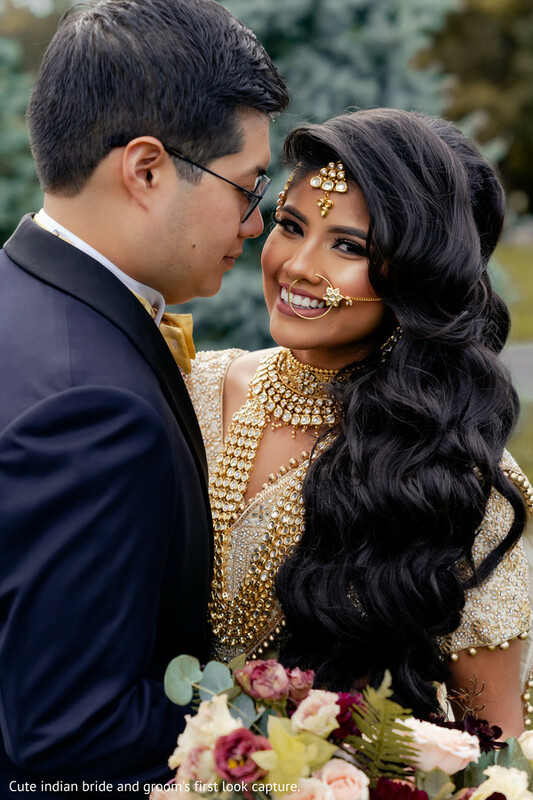 To honor the groom's American heritage, Flawless Beauty by Pauline worked with our princess bride Poonam and came up with a superb clean and graceful hair and makeup combo to combine her super feminine white lace gown. 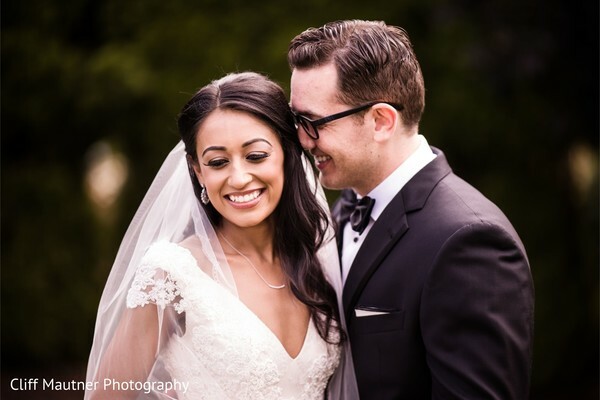 The dapper newlywedded groom opted for a classic black tuxedo suit looking pretty stylish as well! 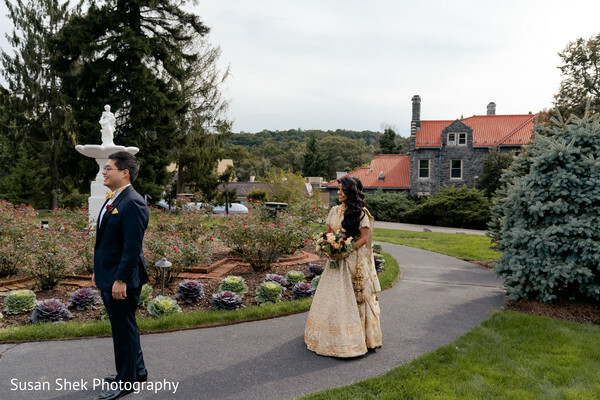 Cliff Mautner Photography invited the new Mr. and Mrs. for a second photo outdoor session before their second exchange of "I do's" and before the turmoil of their reception at the highly exclusive halls of The Rockleigh! 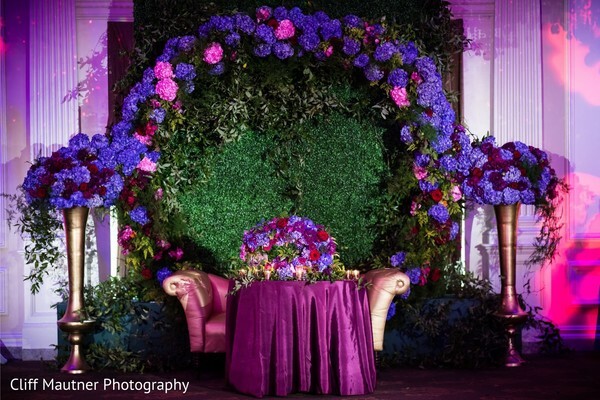 The reception was lit with purple lights by DJ USA and decked by Ovando NY with stunning floral bouquets while a flamboyant floral arch framed the sweetheart stage! 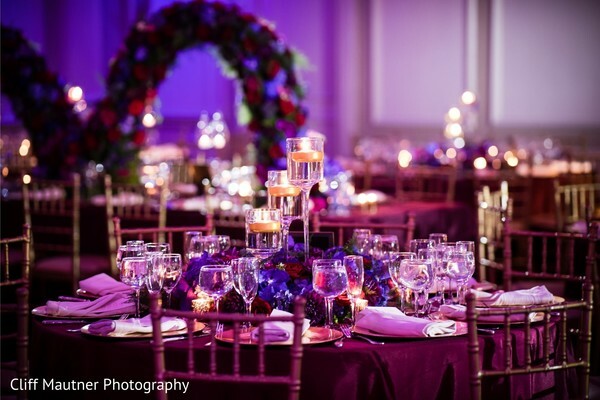 A big round of applause to Premini Events for planning such a perfect event! Don't forget to check out the whole imagery collection in the full gallery! Until tomorrow loves! I will be back with more beautiful brides and grooms! 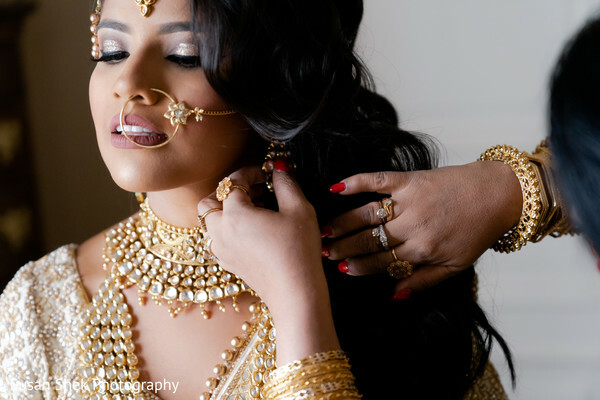 Flawless Beauty by Pauline, The Rockleigh and Cliff Mautner Photography are members of the Platinum Guide. Love what you see? Explore their portfolios. 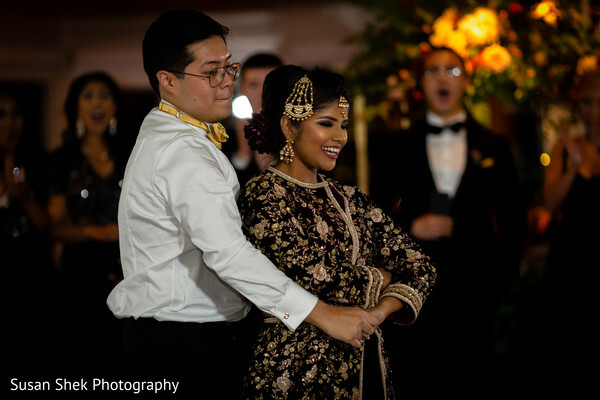 In honor of their fusion nuptials, Parihan and Kevin decided to hold a lavish bash! 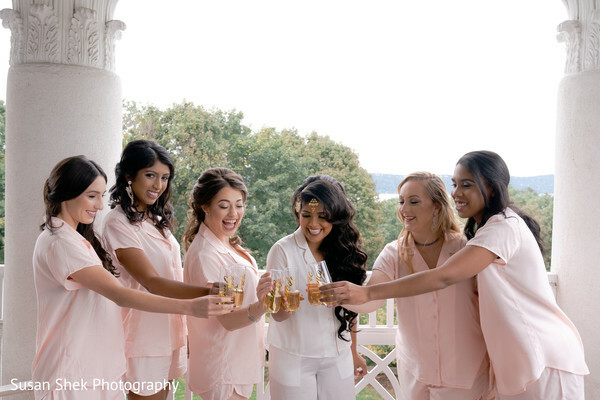 Touch of Elegance Events did an amazing job executing the spectacular wedding reception at the beautiful Abigail Kirsch at Tappan Hill Mansion! 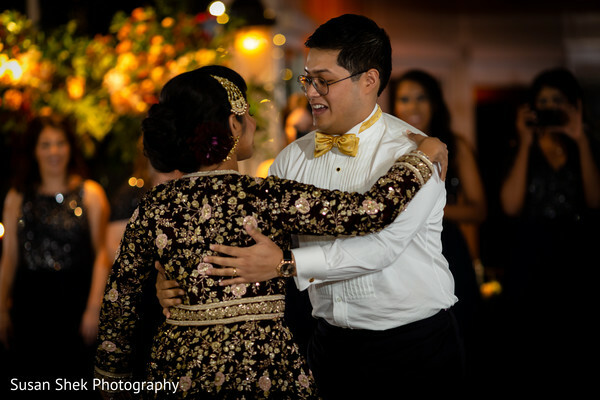 This time our fabulous couple surprised their family and friends with a perfectly choreographed fusion first dance, thankfully DJ Shilpa was there to turned up the volume for the memorable moment! 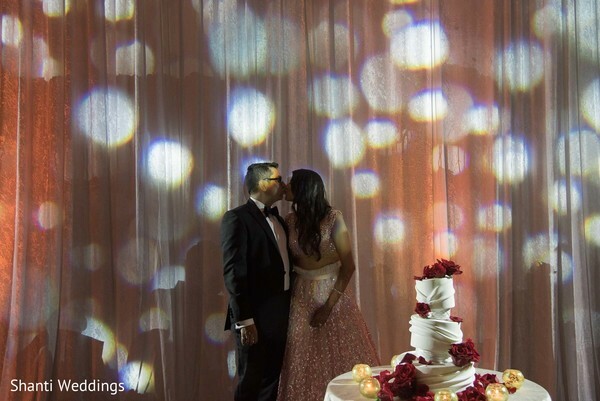 This stellar moment allowed our lovely bride Parihan to showed off her exquisite dark maroon reception outfit and her dazzling new hair bun thanks to Bridal Rang by Samiha. 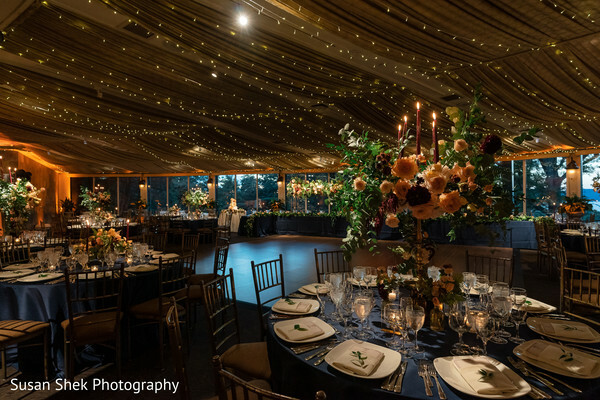 Fall colors are perhaps one the greatest palettes and Designs by Ahn really knew how to incorporate the autumn hues into the reception decor! 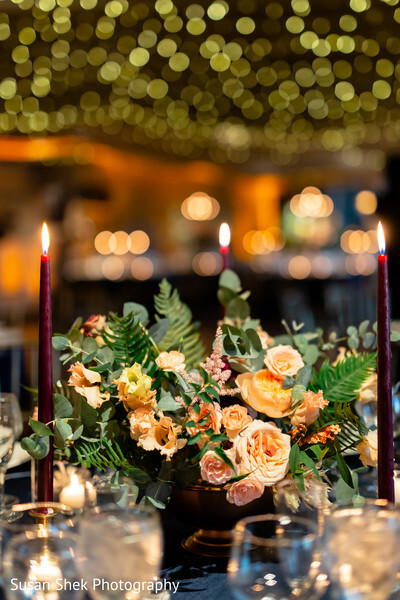 The decor team created unique floral centerpieces with warm candlelights that created an inviting and all over glow ambiance inside the reception hall! 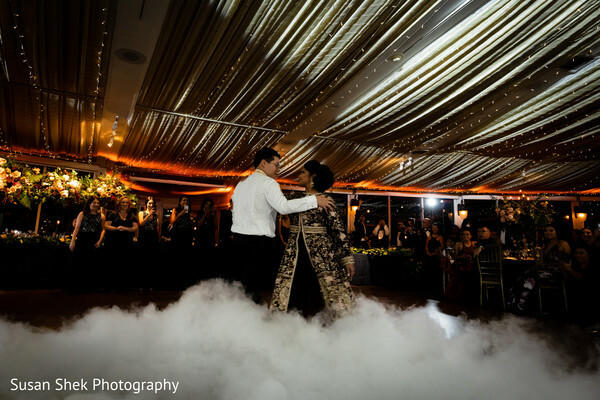 Relive every spellbinding moment of this wondrous event in our complete gallery by the award-winning photographer Susan Shek Photography! We met at a local bar on the Upper West Side and 6 months into dating I had this gut feeling that I was probably dating my future husband. It was instinctual and no matter what came our way we were resilient through it all. My now husband proposed to me on a trip to the Catskills where we were spending the weekend away from the city. We go up to the Hudson Valley a few times a year so I was caught by surprise when he proposed to me as the sun set over the stream of water behind the lodge where we were staying. I could not stop crying enough to say yes so I shook my head nodding yes profusely! 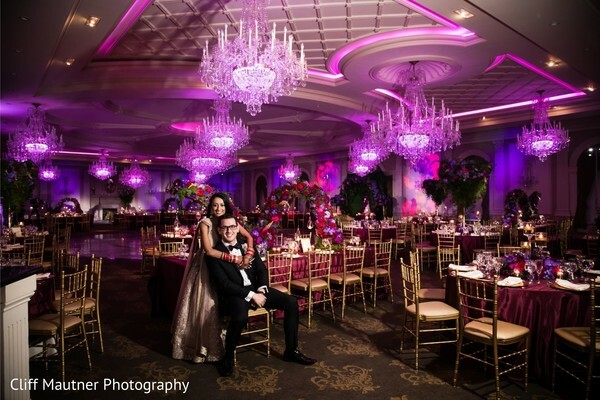 I wanted each event to exude elegance and thus wanted the colors, outfits, makeup, venue to exemplify that. 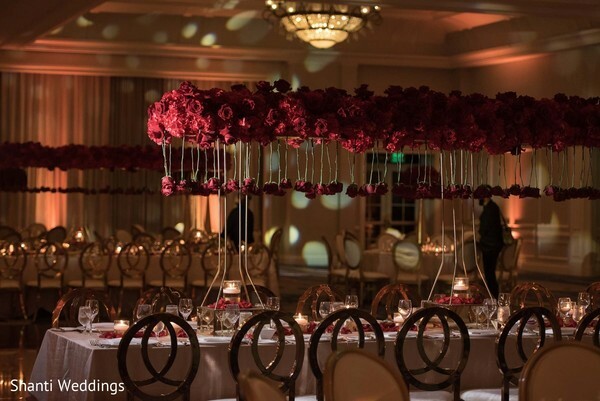 I worked with my wedding planner and vendors to ensure they understood my vision which, of course, they did! 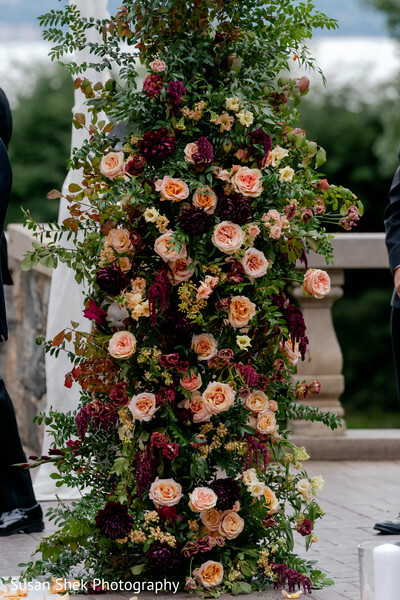 We had a fall wedding so we also wanted to incorporate deep color hues to match the weather and based upon the color scheme we chose our bridal party outfits as well as the groom and bride outfits. 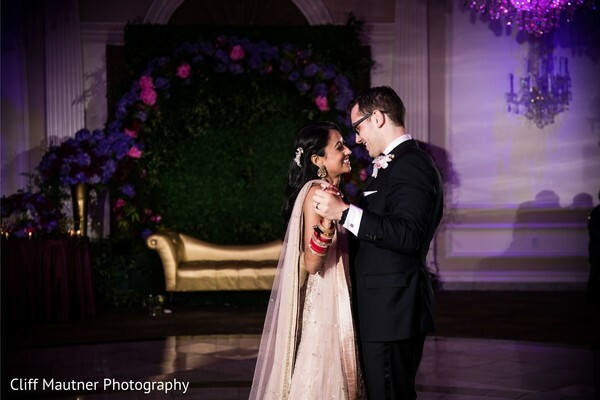 I wore lehengas for both ceremony and reception. I wanted a lighter color for the ceremony and darker for the ceremony. 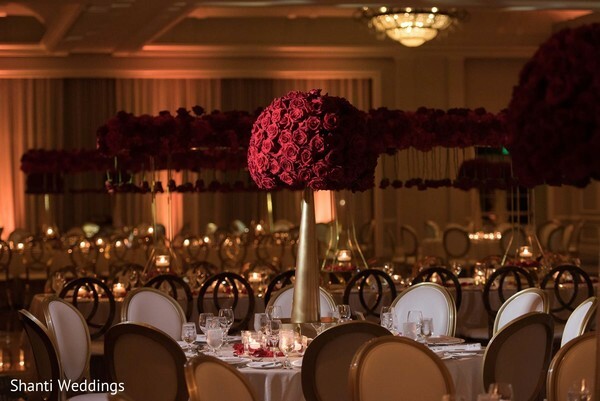 I wanted the feel of class and elegance as I entered the rooms so I went for gold for the ceremony and dark maroon for the reception. Practicing our first dance. 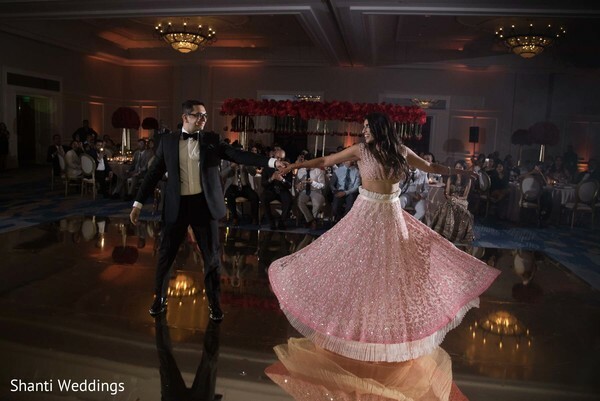 We hired a choreographer who worked with us for 2 months to plan our fusion first dance and it was so much fun to spend quality time with my now husband learning something new. We were pros by the end of it! 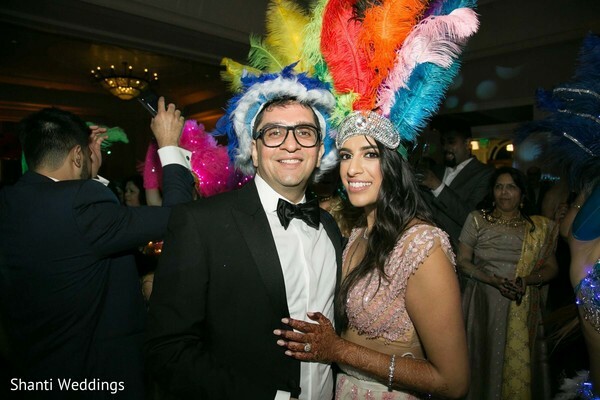 They loved the energy, the music, the food and how the events ran smoothly. People were doing something different every hour and were constantly entertained. 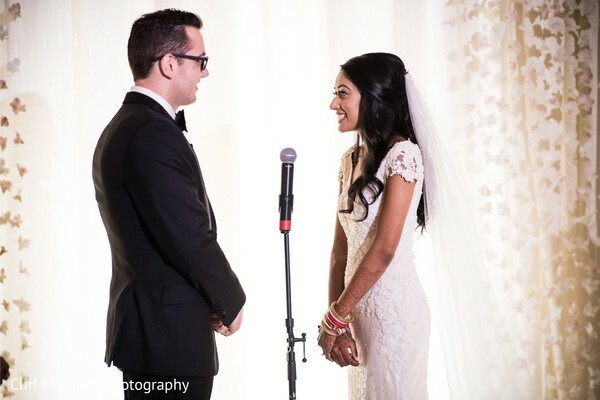 The ceremony is the most memorable part of my wedding weekend. 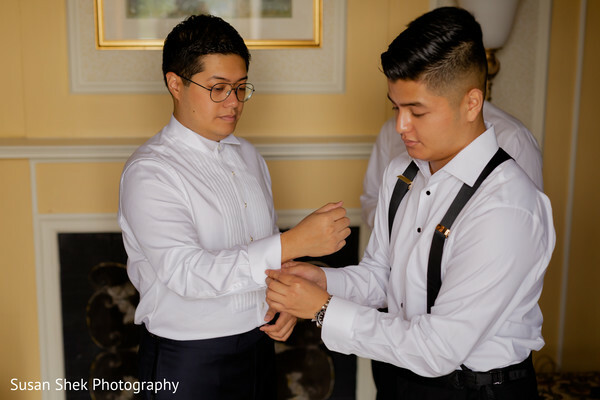 My husband and I wrote our own vows and our ceremony was officiated by one of our close friends. It was very personal, touching and even while standing in front of a huge audience it felt like it was only my husband and I in that moment. 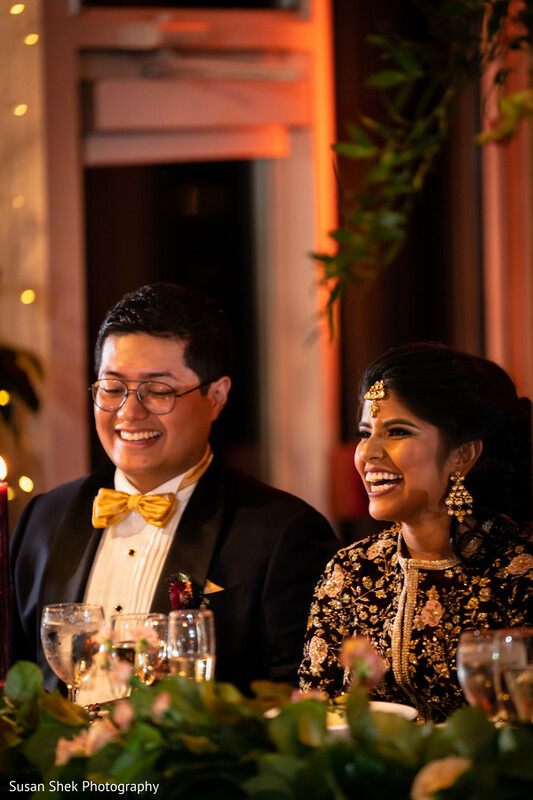 We had a Gaye Holud ceremony which is a traditional Bengali ceremony where the Bride and Groom is showered with sweets and friends and family put turmeric on the couple. Our colors for that ceremony was green and pink with accents or orange and yellow. 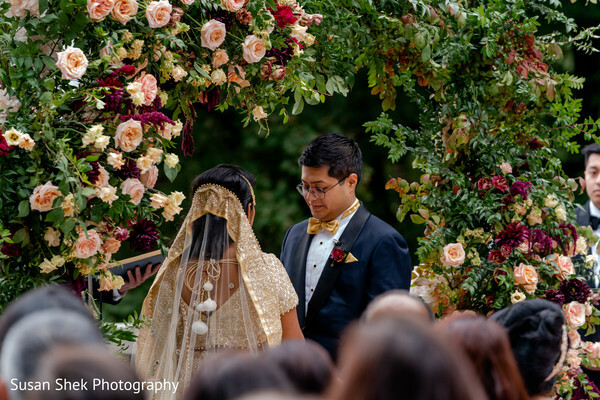 The flowers we chose were marigolds and they were incorporated on the table centerpieces, the stage where we sat and I was carried into the room by my uncles on a marigold palki. 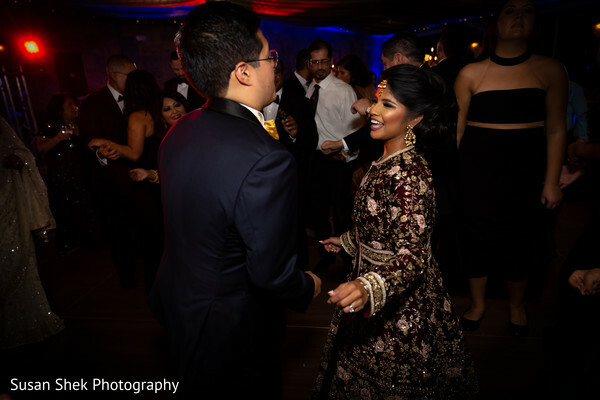 Our DJ fused Bollywood with Spanish songs (to incorporate both cultures) and everyone tore up the dance floor that night! 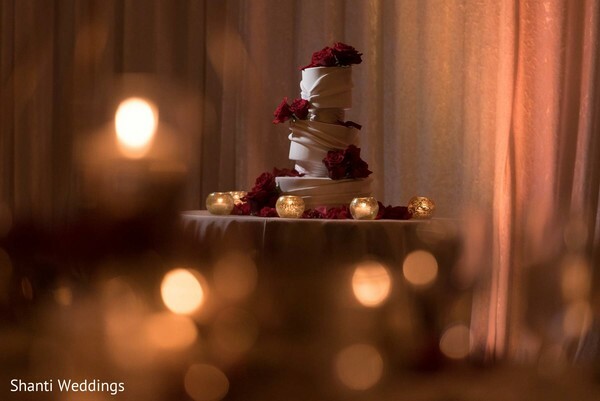 We opted for an elegant rehearsal dinner with tall white cala lily as the centerpieces. 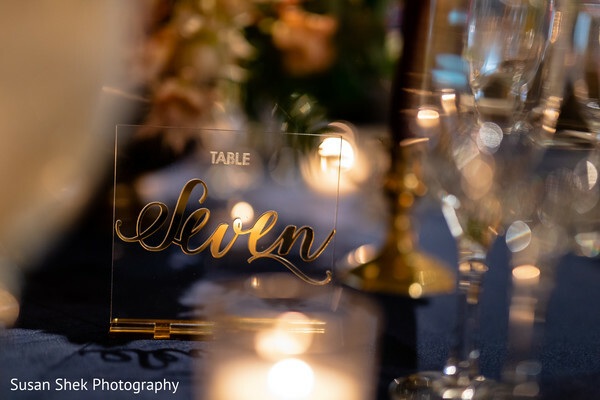 We had baby breath and greenery hanging from the chandeliers with hurricane candles on the tables and throughout the room to incorporate a feeling of romance and class. We also had speeches given by the Groom's parents, one of the bridesmaids and the groomswoman to get everyone excited for the Bid Day the next day! Try to enjoy the process as much as you can because after the wedding you'll wonder where the time went! 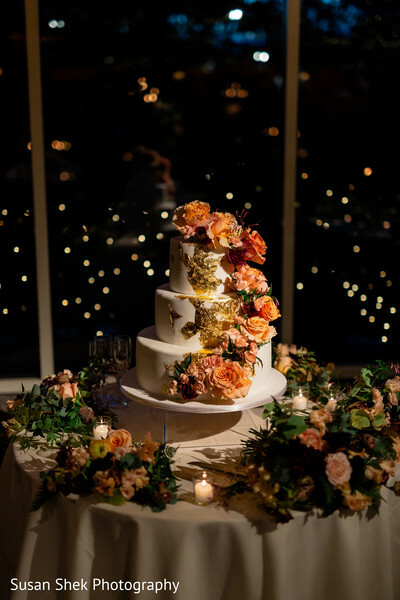 Make the quality moments with your fiance count whether it is dance lessons, cake tasting, touring venues...because these moments will lead to your "I do" day and you want to remember them fondly. The journey to marriage is an adventure so make it a fun one!! I hoped you grabbed some inspiration. See you next time, ladies! 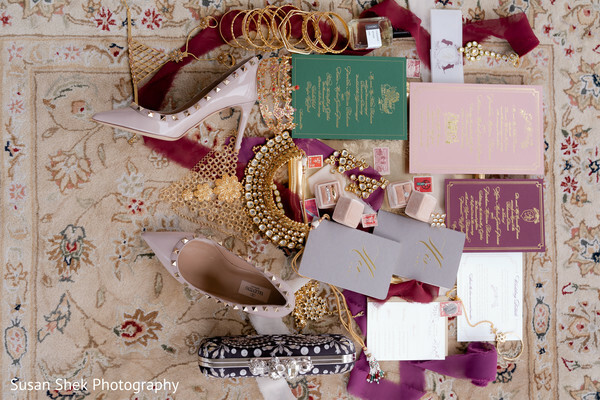 Shilpa Entertainment, Touch of Elegance Events and Susan Shek Photography are members of the Platinum Guide. Love what you see? Explore their portfolios. 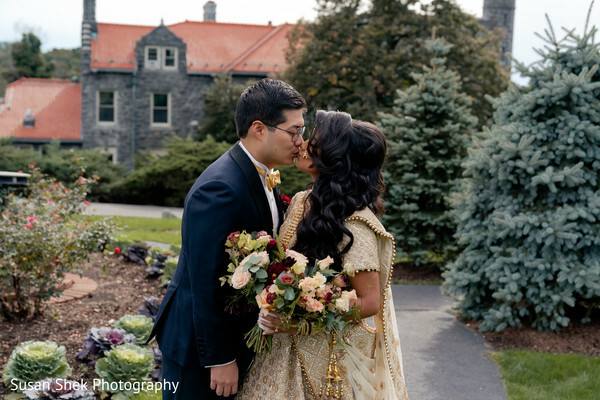 We are back to witness the elegant fall fusion wedding ceremony of Parihan and Kevin in the lush gardens of the Abigail Kirsch at Tappan Hill Mansion! 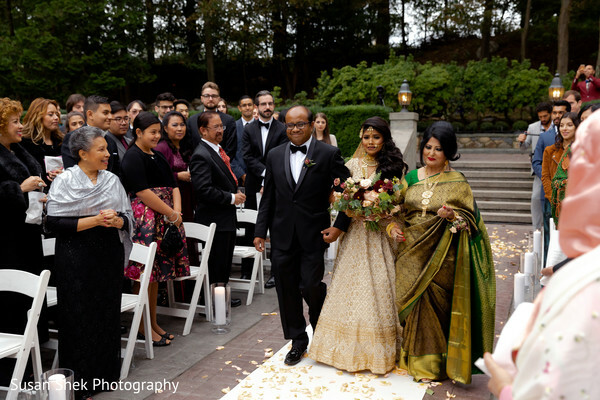 Planned and designed by the phenomenal team of Touch of Elegance Events, this romantic fusion soiree celebrated the love of the couple facing the picturesque Hudson Valley and displayed an alluring autumnal inspired theme! 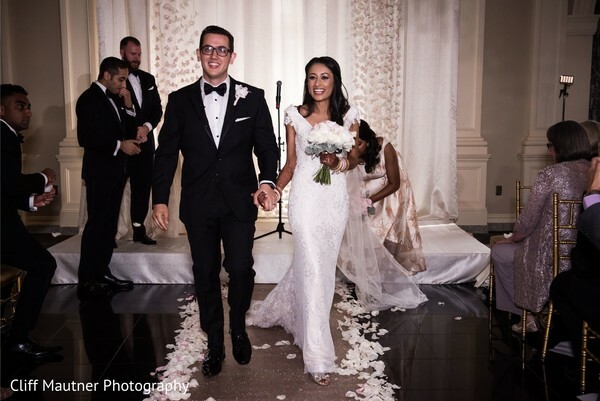 The gorgeous seasonal floral shades were all incorporated in a charming floral arch that framed the moment when these two became newlyweds! 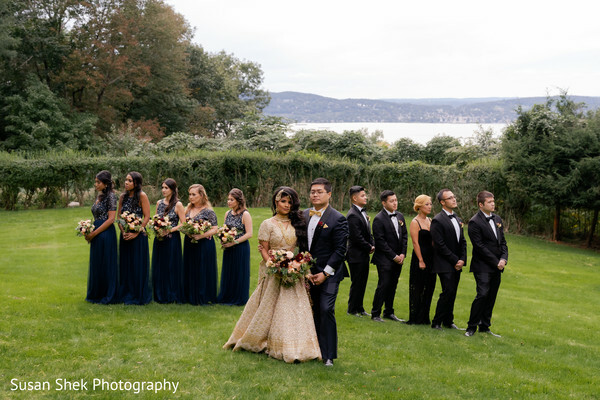 Maharani's Parihan entourage wore a selection of elegant navy bridesmaids dresses while the groomsmen joined them in timeless black tuxedos suits and together were the perfect addition to the wedding pictures! 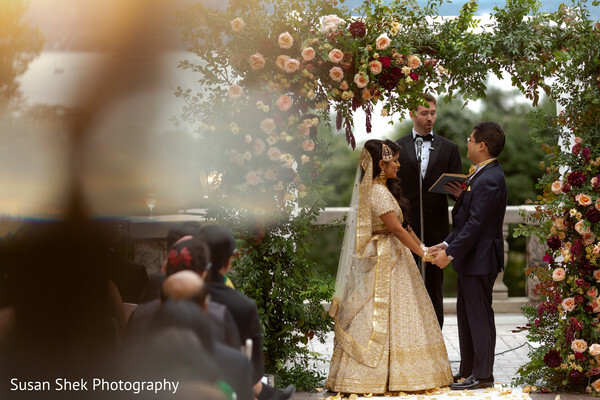 The artistic NYC photographer, Susan Shek Photography, was the genius behind the wonderful stills that captured all the emotions of the western ceremony that turned our lovestruck couple into husband and wife! 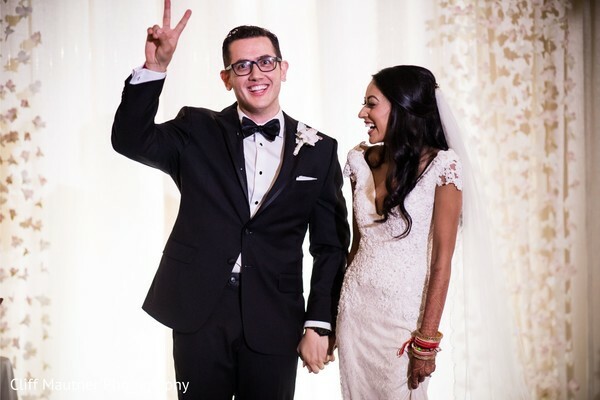 The wedding magic was complete! 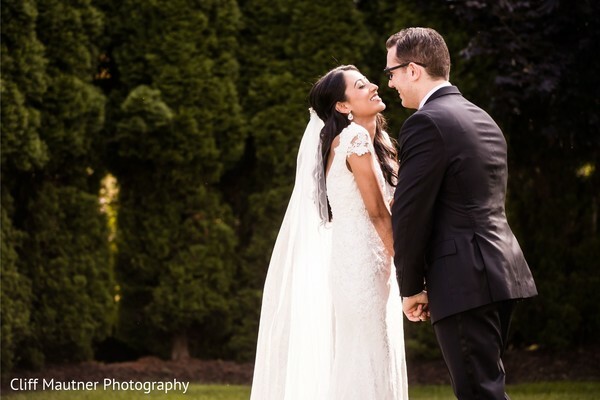 See the marvelous ceremony for yourself below and in the full gallery! Come back and check out the reception next! 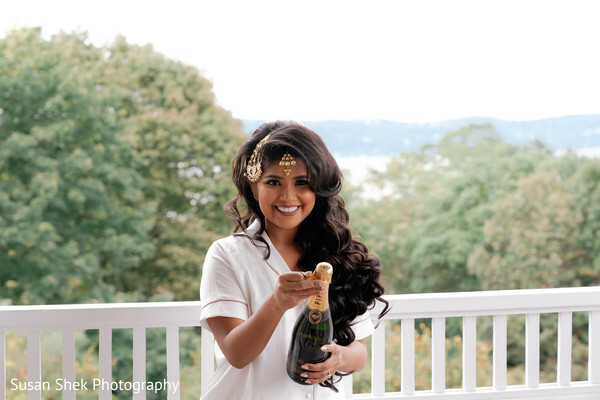 Hey dolls, I am absolutely thrilled to bring you a real wedding gem! 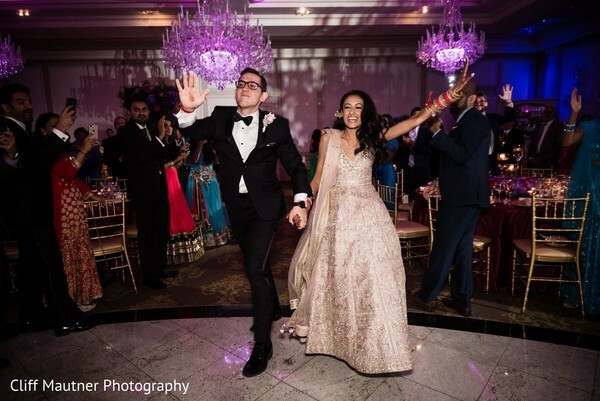 Parihan and Kevin are a beautiful New York twosome that pulled off a gorgeous fusion wedding captured by the talented modern wedding photographer Susan Shek Photography! 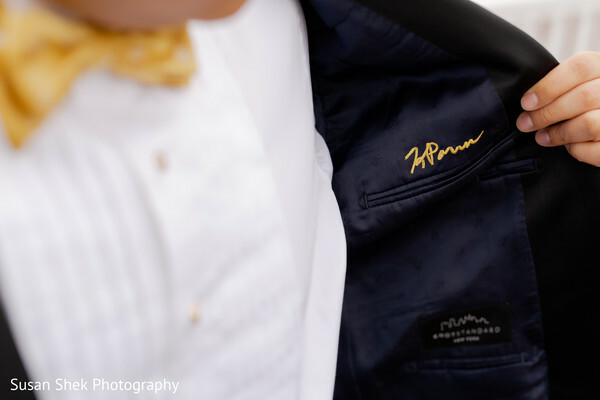 Among the wonderful wedding album captures, the getting ready images especially caught our attention due to the beauty of the couple´s wardrobe selection. 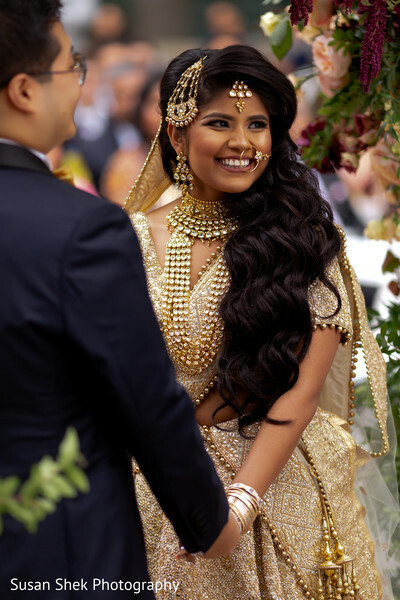 Maharani Parihan had her charming bridal party by her side during the prep time with the wonderful Bridal Rang by Samiha who gave her an impeccably polished look that amplified her natural beauty! 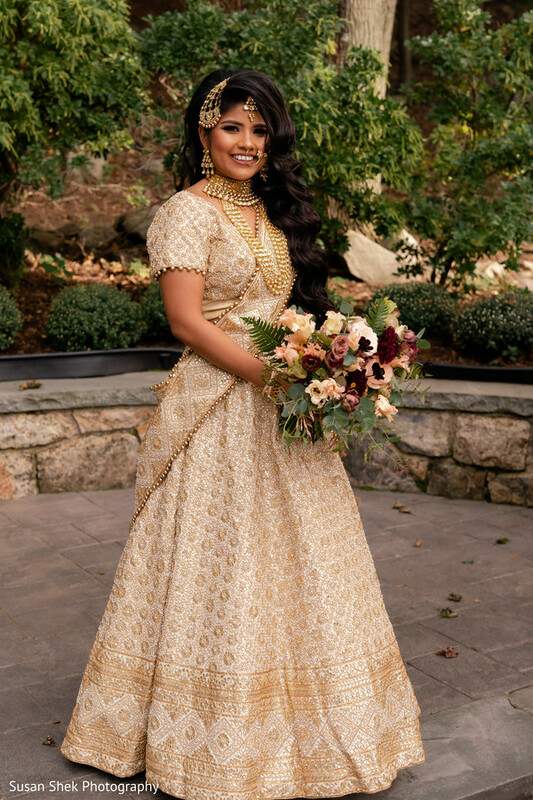 A stunning lehenga embellished with an intricate design made our Maharani a modern day diva and carried a bold gorgeous earthy tone flower bouquet created by Designs by Ahn. 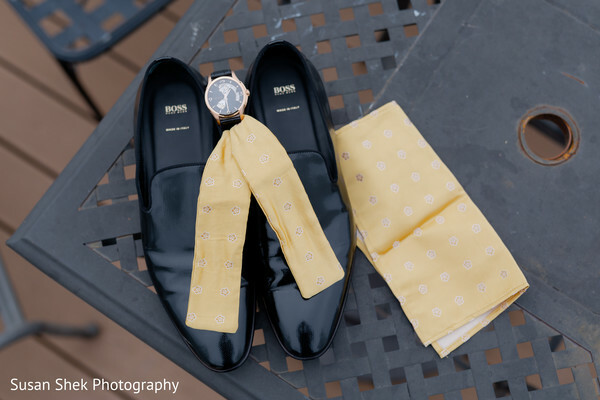 On the other hand, her dapper fiancee Kevin prepared his own wedding look with the help of his groomsmen party and selected an elegant The Knot Standard tux and paired it with the perfect pair of Hugo Boss shoes! 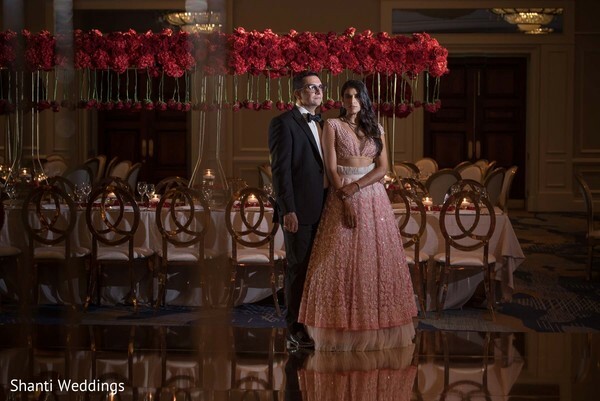 Don´t miss the adorable first look of these two in their stylish ceremony outfits in our complete gallery! 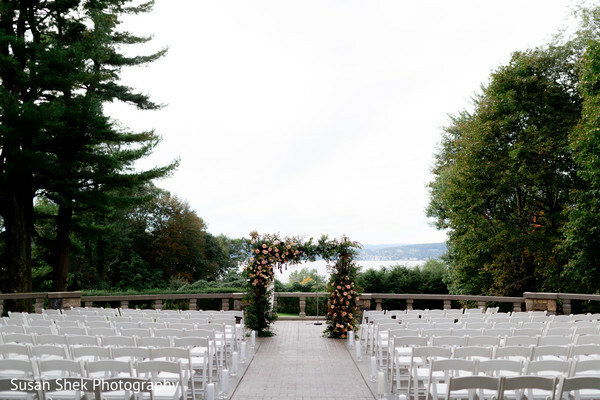 We will be back with the amazing autumnal ceremony!